Back by popular demand, get your tickets early as last time the show was a sellout!! The musical story of Frankie Valli & The Four Seasons. 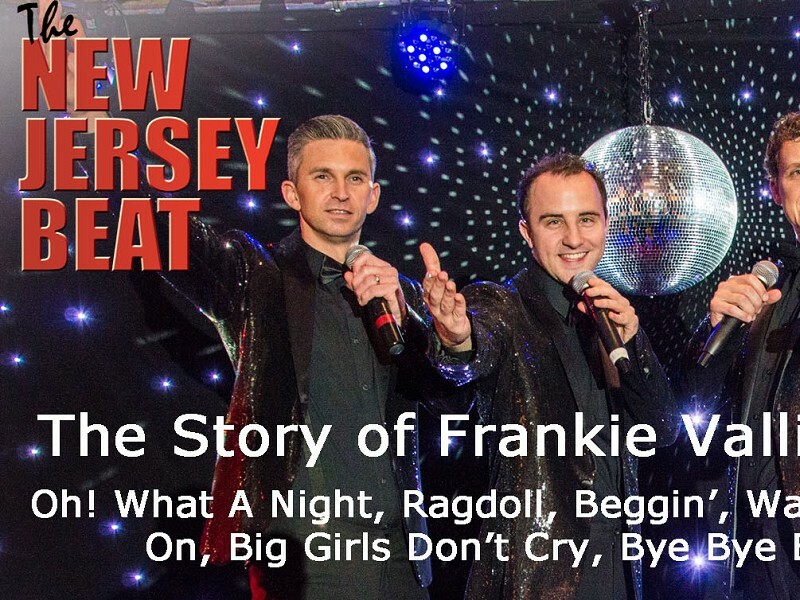 Brought to you direct from the West End, former cast members of 'The Jersey Boys' who have entralled thousands of theatre goers with their portrayal of this iconic group present their own fantastic, fast paced, energetic show. Featuring timeless classics including 'Oh! What a night', 'Ragdoll', 'Walk like a man', 'I've got you under my skin', 'Sherry', 'Beggin', 'Let's hang on' and many more hits from the Frankie Valli and the Four Seasons' catalogue. With slick dance routines, plenty of charm and charisma and outstanding vocals this show tells the story of this iconic multi million record selling group, with the benefit of an outstanding stellar cast and fabulous live band.